Welcome to Lake Haven Holiday Homes & Village Apartments in the beautiful, rugged west of Ireland where you can decide to relax or embark on some wonderful tours of this marvellous and scenic region. 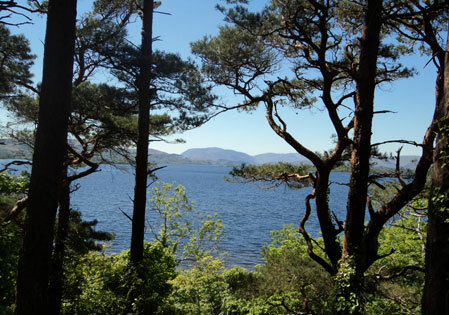 Lake Haven Village Apartments are located 1 mile from Lough Mask and 1.5 miles from Lough Corrib, the apartments are located in Clonbur House in the village of Clonbur, Connemara. These cosy apartments boast the perfect village location in the heart of Clonbur which is snugly located between Loughs Corrib and Mask making this a fisherman’s paradise. Tastefully furnished throughout with all mod cons this haven is only a stroll from highly-rated restaurants and public houses. Here you’ll find music and craic, a few words in the native Irish tongue, and memories to bring home with you. Another place of unique beauty is Lough Coolin, a small lake set like a glittering gem in the foothills of Mount Gable, just 3 miles from Clonbur. For the more adventurous, Mount Gable is an easy climb of about one hour’s duration. Whatever your taste you are sure to be impressed with this stunning area and long to return to year after year. There are first floor apartments and a ground floor Studio apartment. The apartments are newly renovated and decorated with ample parking. Clonbur is located 1 mile from Lough Mask and 1.5 miles from Lough Corrib. There are two first floor apartments, a two bedroom and one bedroom apartment. The two bedroom apartment has a double room and a twin room and the one bedroom apartment has a double bed and a single bed in the one room. The Studio apartment accommodates two people. There is also a ground floor bedroom, en suite available for use with the apartments. Lake Haven Holiday Homes are located 50 meters from your moorings on the shores of Lough Corrib and 4 miles from Lough Mask. The beautiful semi-detached dormer style duplex houses, set on the shores of Lough Corrib, with panoramic views of the lake, mountains and surrounding countryside. This is a prime angling location with very productive drifts within meters of the moorings. Lake Haven Holiday Homes are both spacious, comfortable, with all mod cons and separate parking areas. Each house sleeps 8 (6 beds). The properties serve as an ideal touring base for the entire west of Ireland. It is on the northernmost tip of the Connemara Gaeltacht, in the heart of Joyce Country and within touching distance of the many superb attractions of the west coast. The view that greets you every morning is spectacular – you are billeted overlooking Lough Corrib, one of the great western lakes of Ireland. Just 4 miles away is the friendly and picturesque village of Clonbur, with its highly-rated restaurants and public houses. Here you’ll find music and craic. Clonbur is the ideal touring base for the west of Ireland region. Explore the beaches of Connemara, the historical sites of the west, and the cosmopolitan towns of Westport, Clifden and Galway. Copyright © 2012-2019 Lake Haven Ireland. All rights reserved.